Check out our quarterly newsletter to stay informed about what we’re working on. 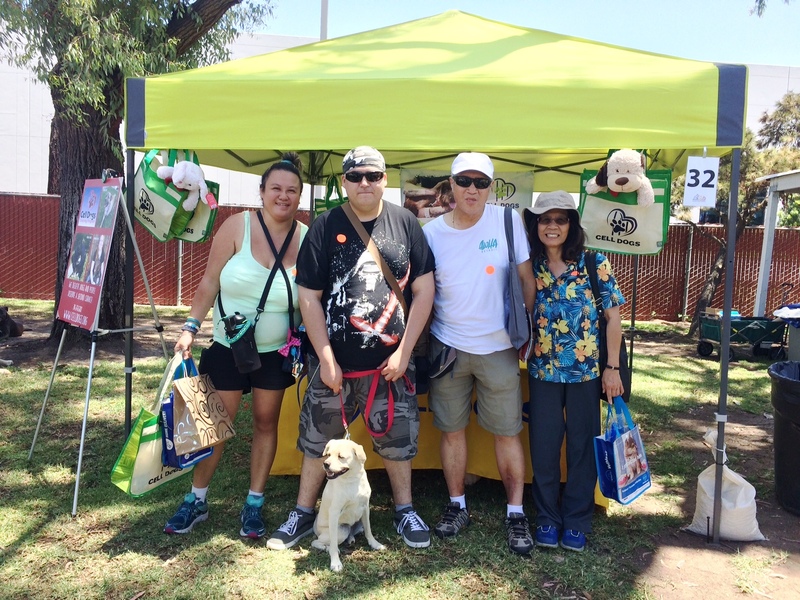 Find out what our trainers, dogs, and adopters have been up to. We wanted to share the good news! 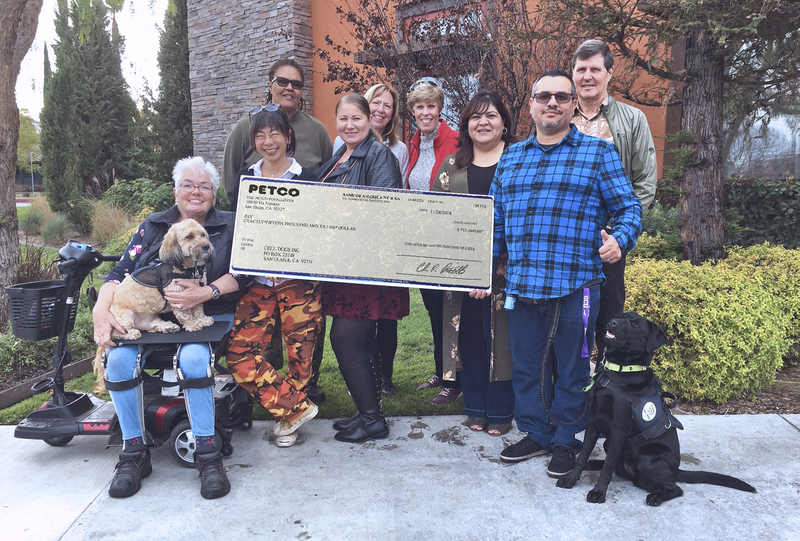 We are, once again, the proud and grateful recipients of the Petco Foundation’s generous donation. The Petco Foundation investment will help us expand the training programs by covering the numerous costs involved in providing a chance at a better life for more animals, inmates and adoptive families. It will also contribute to the advanced training programs for canines who show potential in becoming service dogs. 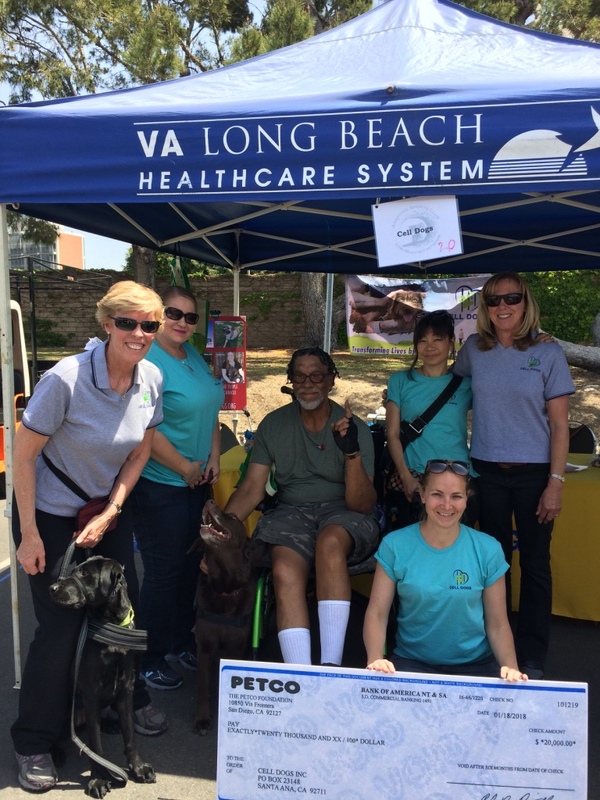 Every year, the Petco Foundation’s national Helping Heroes campaign supports thousands of therapy, service and working animals who bravely dedicate their lives to helping people. We are thankful to be part of this initiative. Early bird – Janette Thomas, executive director of Cell Dogs, Inc. – already done with a radio interview this morning! (It was at 5.20 am…). Luckily, we can listen to it whenever we want. KFI AM 640 – Wake Up Call’s Jennifer Jones Lee asked about the program and, of course, Giving Day 2018. We couldn’t be more excited for all the interest in our work! 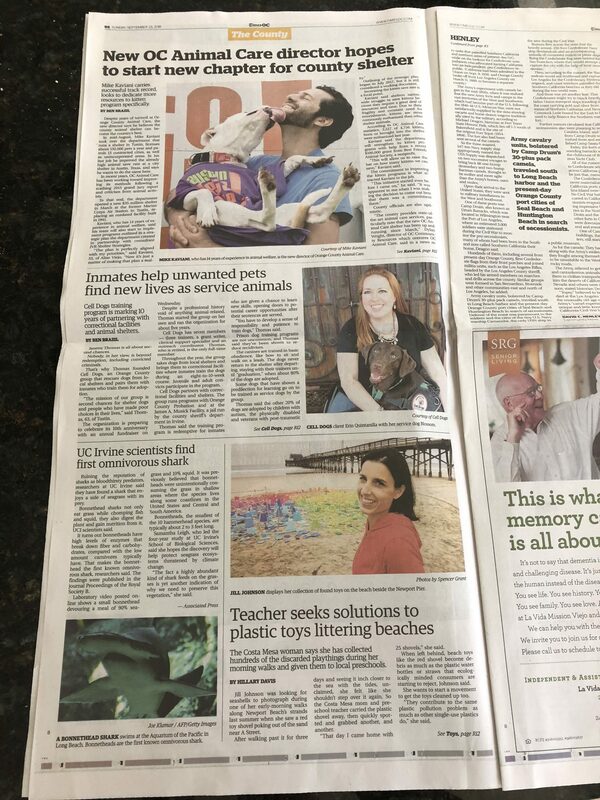 The Los Angeles Times ran its Cell Dogs article again, this time in the Times OC section, a Times Community News publication serving Orange County. The date is the 26th of September and it will be a 30-hour event (9/26 6am – 9/27 12pm) when we will be actively asking for donations for our cause. We have already asked our adopting families to help us with peer to peer fundraising and now we are asking all our supporters to help us continue the important work we feel we do. “This year we celebrate our 10th Anniversary and I’m extremely proud of we’ve accomplished! As many of you know, initially I was a “one man band” working with correctional institutions and shelters in the LA and OC areas. As interest and the number of programs grew, it was no longer possible to keep up with the momentum thus I strategically selected key resources to ensure the longevity of our organization. 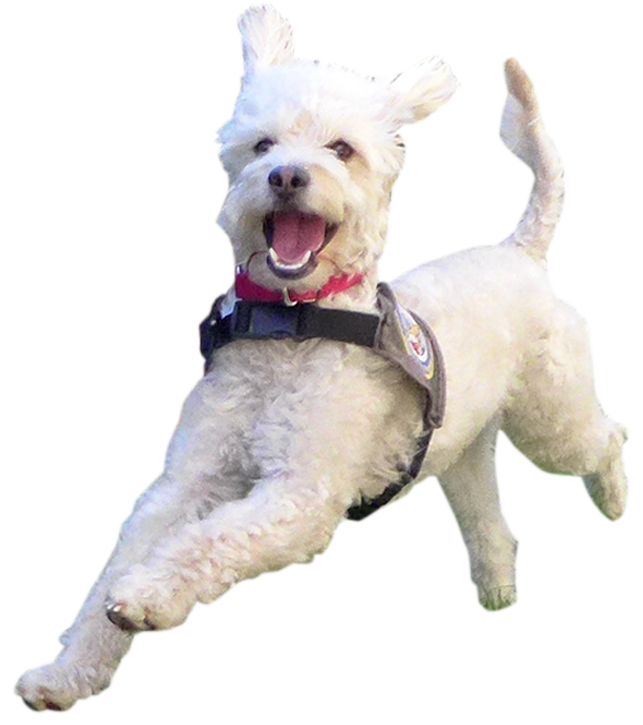 Since 2008, we have trained and placed 300+ dogs in loving homes or as dedicated service dogs. Today, I am extremely proud of my six team members who have the drive and passion to keep the ball moving forward. They have gone “above and beyond” during the past year as I’ve had to endure 2 shoulder surgeries which have limited my “dog wrangling” ability. In early 2017, the OC Community Foundation decided against hosting their annual Giving Day for participating non-profits.This was disappointing news as we were one of their top performers and received sufficient donations to cover nearly 25% of our operating budget. They might be abandoning this project, but we’re not about to abandon our Mission! 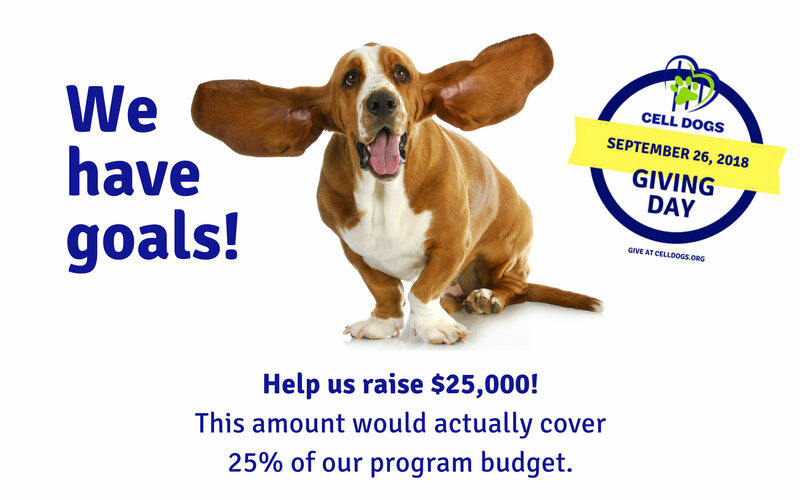 We’re always up for a challenge, so we’re conducting our own Cell Dogs GIVING DAY on Sept. 26th with the goal of raising $25,000! I am forever grateful for your support and belief in what we do, and invite you to participate in this year’s campaign. Help us celebrate our 10th Anniversary by donating on GIVING DAY! Please mark your calendars. 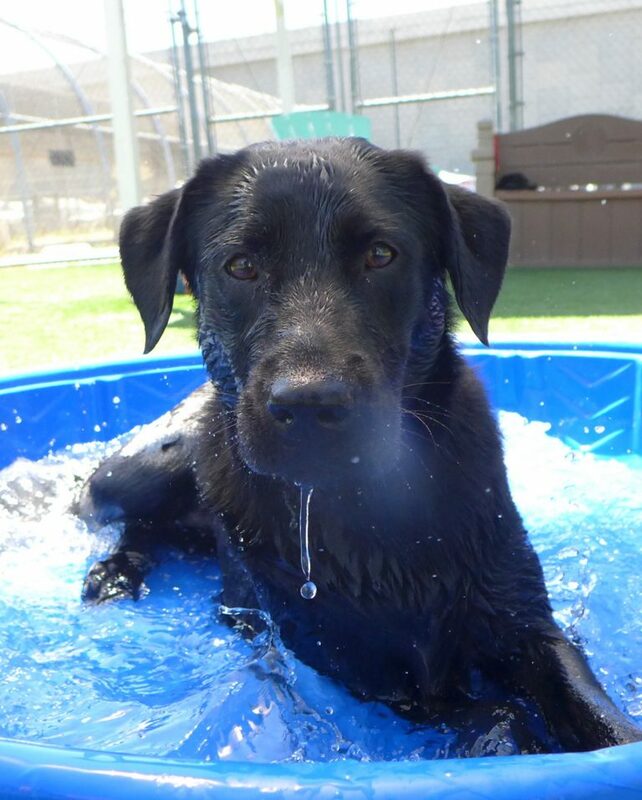 With hot temperatures and high humidity, dogs can experience heat exhaustion or heat stroke. Heat stroke in dogs can lead to multiple organ dysfunction and, sometimes, death. Many people already know enough to not leave dogs in their cars on warm days, but fewer realize that dogs can overheat in 90+ degree weather in less than five minutes. Dogs with darker coloring cannot be left in the heat or sun as long as other dogs. Unlike light colors which reflect light and heat, the color black absorbs light and heat. Brachycephalic breeds have more difficulty with intake and circulation of air due to their shorter snouts. Since dogs regulate body temperature largely through panting, those that do not breathe well cannot regulate their body temperature properly. 1. Keep water readily available anytime dogs are outside. 2. Dogs should always have access to shade to get out of the sun. 3. Watch for signs of heat exhaustion and heat stroke. Signs include rapid heart rate and excessive panting/drooling, red ears and bright red tongue, pale gums, thick/sticky saliva, stumbling, and lack of skin elasticity (Pick up the dog’s skin around his neck and release it. The skin should pop back in place. In dehydrated dogs, the skin will remain in a ridge and, the longer it stays in that position, the more severe the dehydration). If you see these signs, cool the dog by immersing him in cool water or wetting the paw pads/underbelly/armpits with cool water (not ice water) before a visit to the vet. 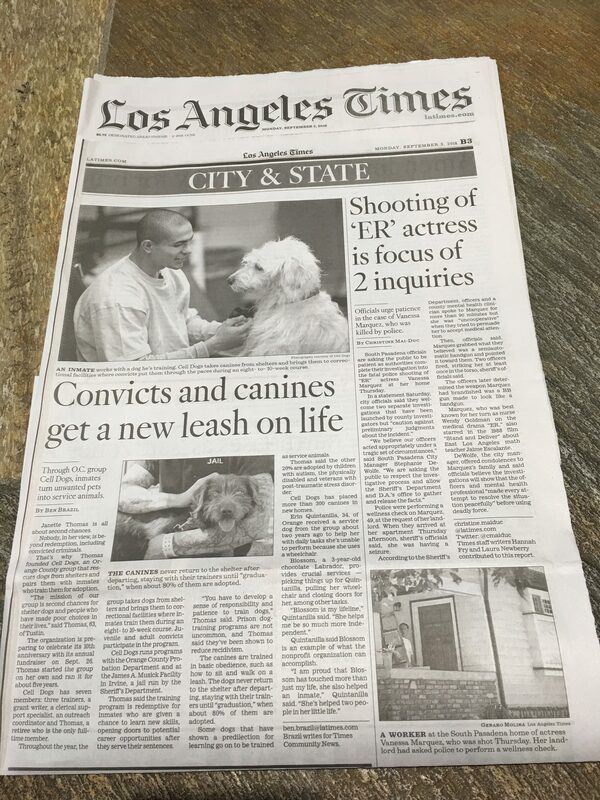 Thank you everyone for looking out for your Cell Dogs or any animals in your care! 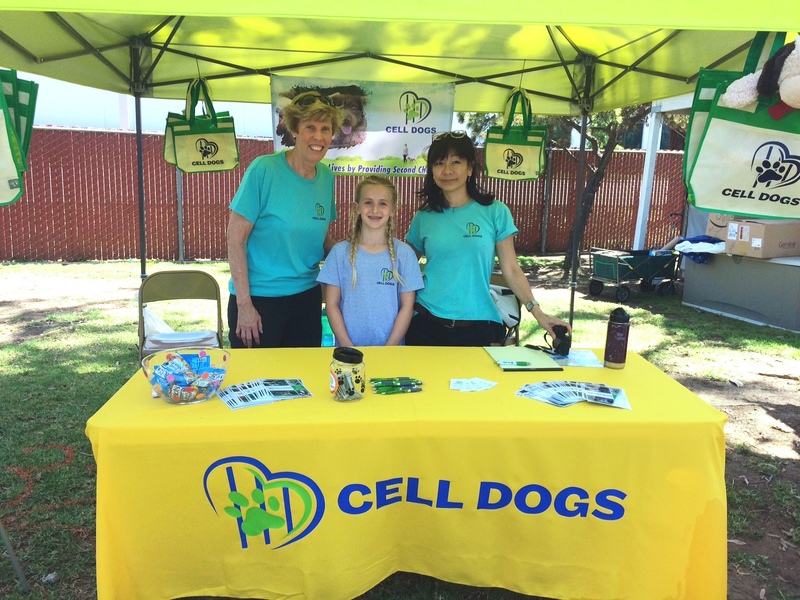 Cell Dogs was recognized for their programs with the OC Sheriff’s Department during the recent OCSD Volunteer Picnic. 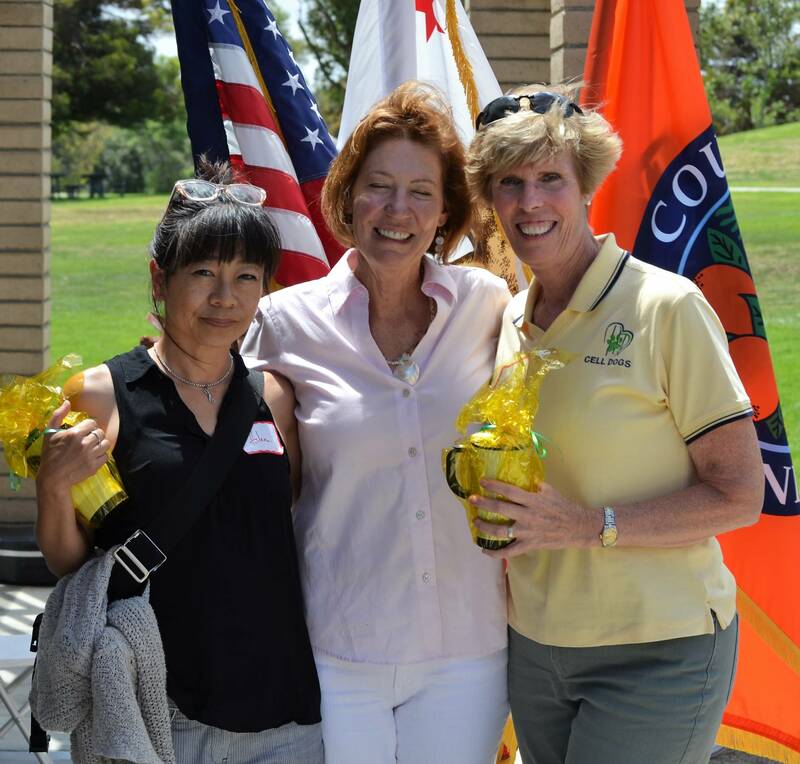 Helen and Janette are pictured with Sheriff Sandra Hutchens who “loves, loves, loves our program!” She has been an avid supporter since the beginning and we will be sorry to see her leave when she retires at the end of the year. 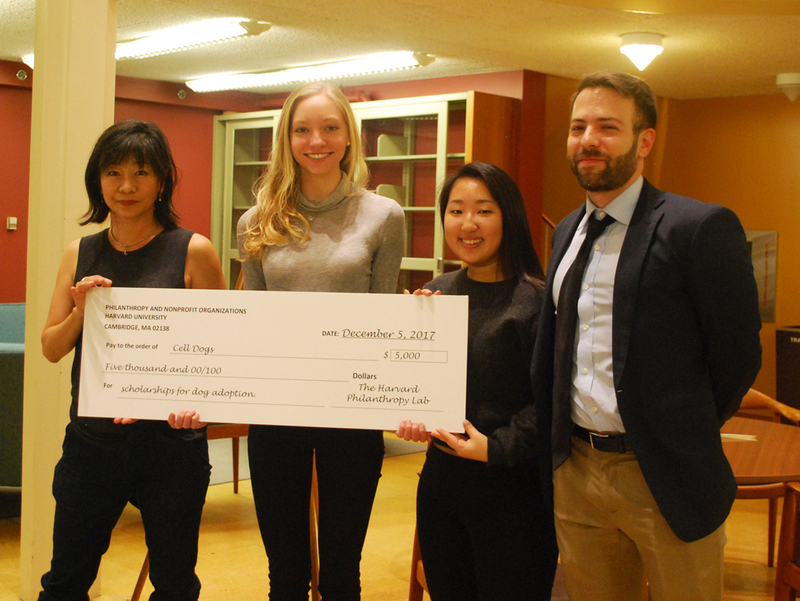 Students taking the course “Women and Gender Studies” were on the lookout for a group doing important work in the community. They found us via Google while searching for a local organization helping the incarcerated. 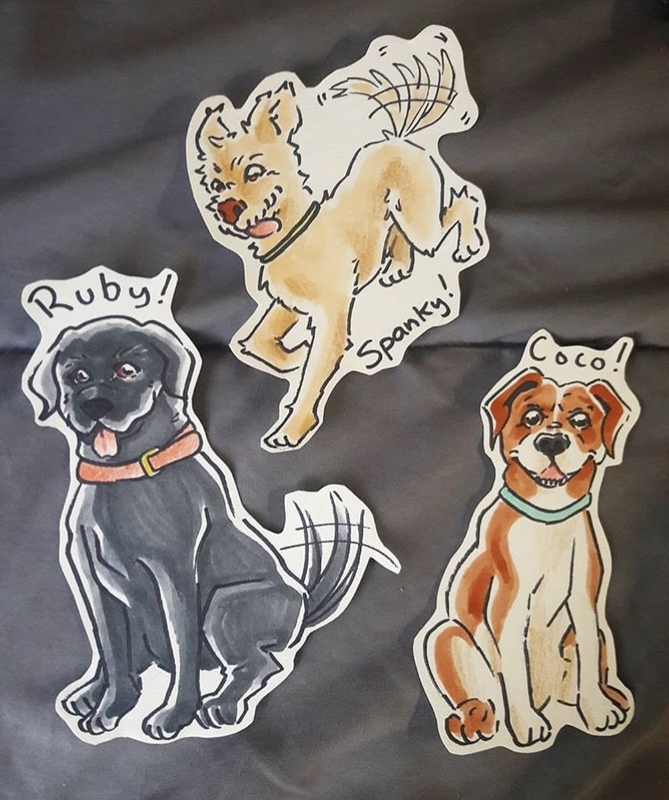 When we noticed that they had posted artwork inspired by our current dogs in training, we found them via Instagram. The presentation took place at Cal State Fullerton on May 10, 2018. 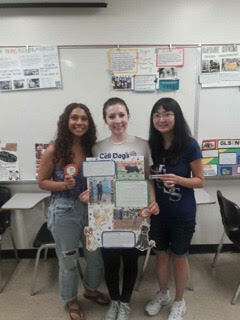 Group members included Annalie Cortez, Amanda, and Chai Appling. Photo – courtesy of Annalie Cortez, Artwork – courtesy of Chai Appling. 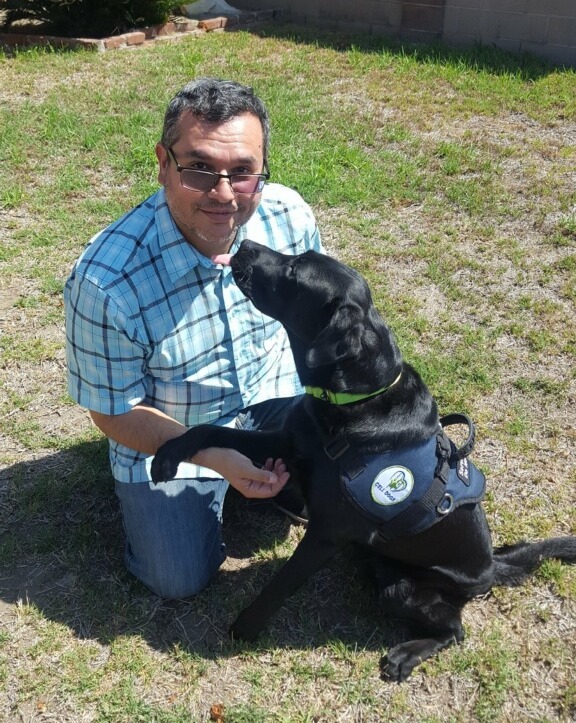 We are so excited to share the news that we have been awarded a $20,000 grant to support our advanced training program that trains dogs that show potential to become service dogs. 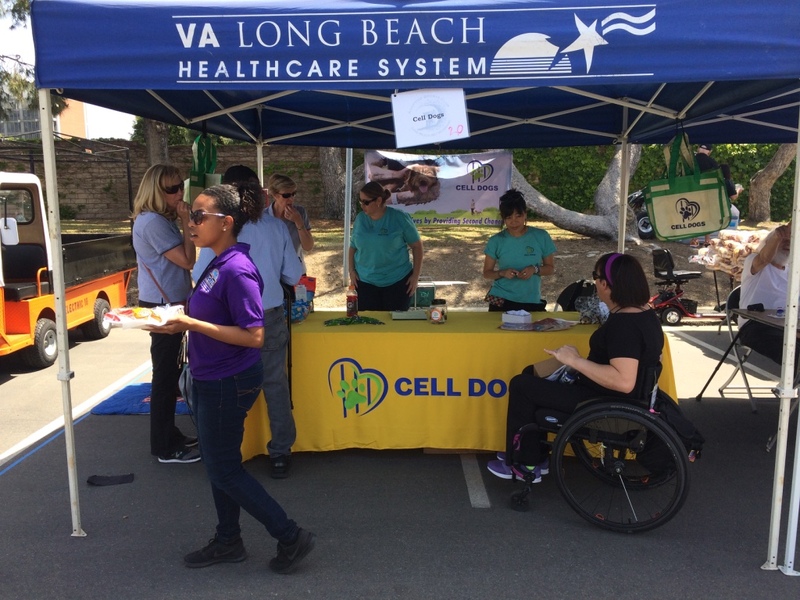 Our scope at Cell Dogs includes: Autism Service Dogs, PTSD Service Dogs, and Wheelchair Service Dogs. 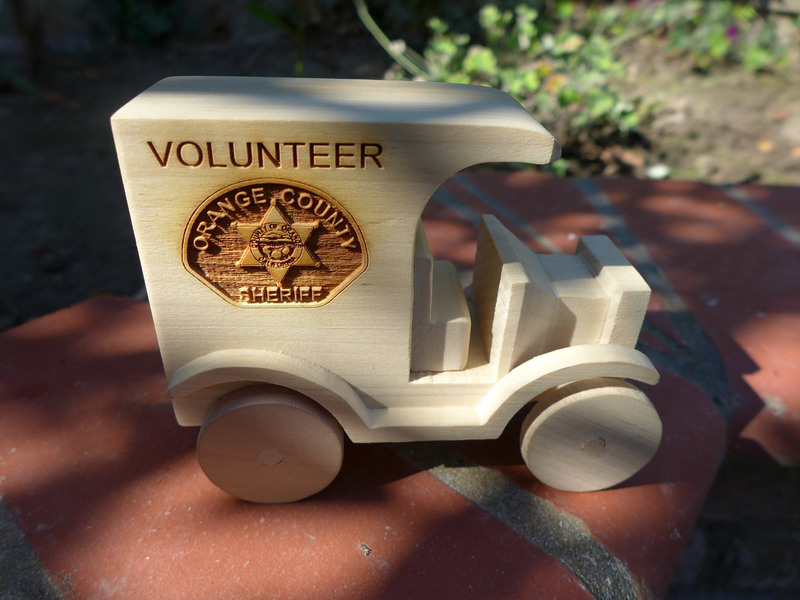 As you may know, our organization significantly impacts Orange County communities since 2009 in a number of ways. Since its inception, Cell Dogs has successfully rescued, trained and placed over 300 dogs into new homes. 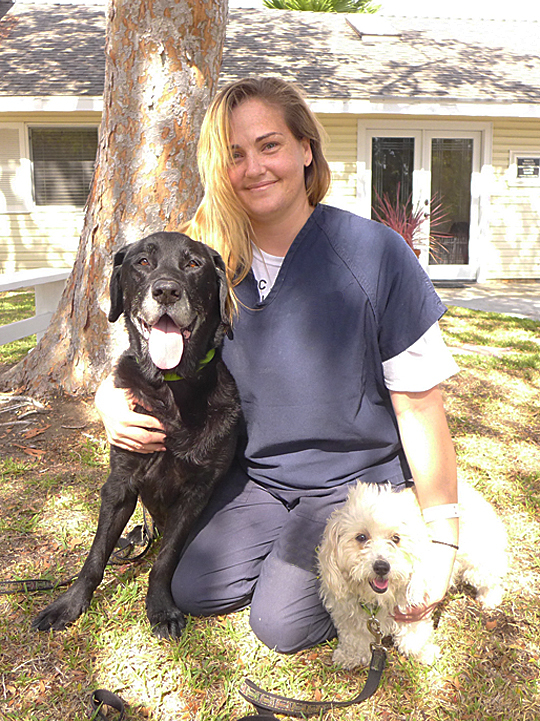 The program goes much further than simply reducing euthanasia rates and saving costs at local shelters: it transforms all incarcerated program participants, providing them (and the dogs they train) a valuable second chance at leading productive and responsible lives. Recidivism rates drop significantly for participating inmates. Dog adoption is also made easier as people looking for a shelter pup are not always equipped to handle an untrained or un-socialized animal. Our service animal find their purpose and change lives. Grants and donations are absolutely critical to our operations, as these are our sole resource. Please consider donating to our cause and mission. 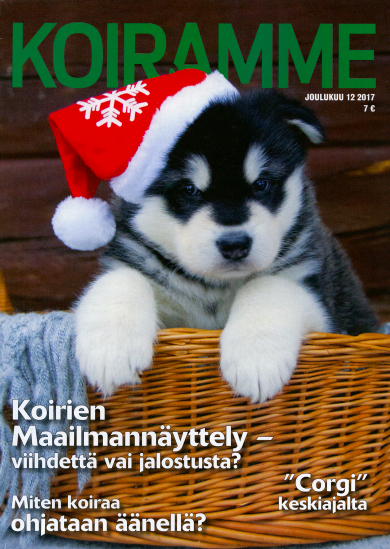 Cell Dogs feature in Koiramme – the leading dog magazine in Finland! We were approached last year by writer Paivi Reijonen for an article on Cell Dogs in Koiramme, Finland’s biggest dog magazine. She felt it’d be interesting for readers since Finland doesn’t have any prison dog programs (yet). 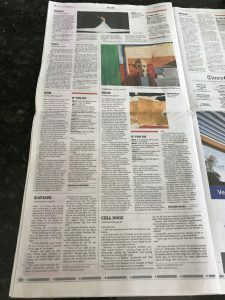 Koiramme is a publication that highlights purebreds, yet she found our program exemplary and wanted to share our mission with Finnish dog enthusiasts. We are working on the translation! Janette Thomas, the heart and soul of Cell Dogs, shares good advice for those considering shelter dog adoption. Training and caring for a pup requires time and money, and adopting a dog is an important decision that shouldn’t be taken lightly. Finding your four-legged best friend can be the best (Christmas) gift ever, but we suggest you do thorough research and ask yourself a few basic questions before heading out the door. 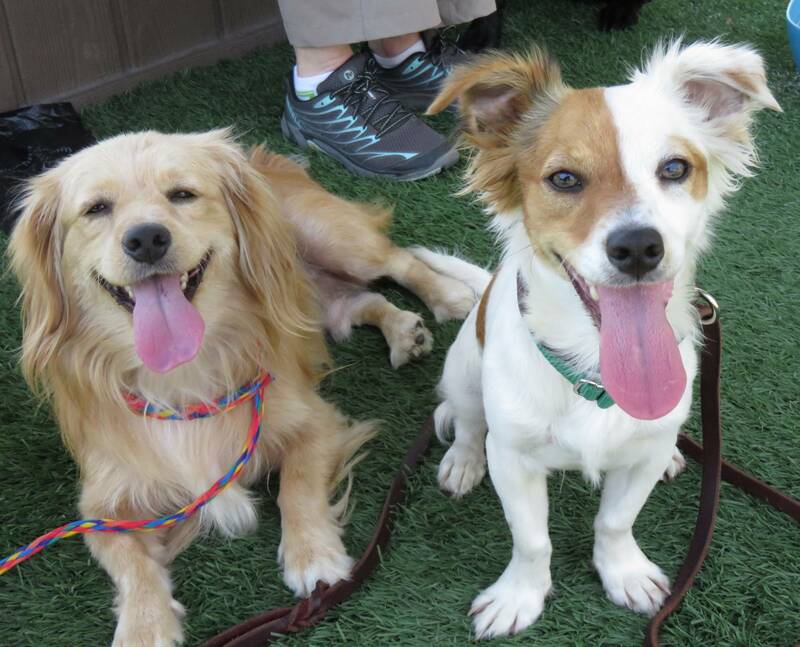 To help you get started, please watch this video made by staff at Orange County Animal Care. 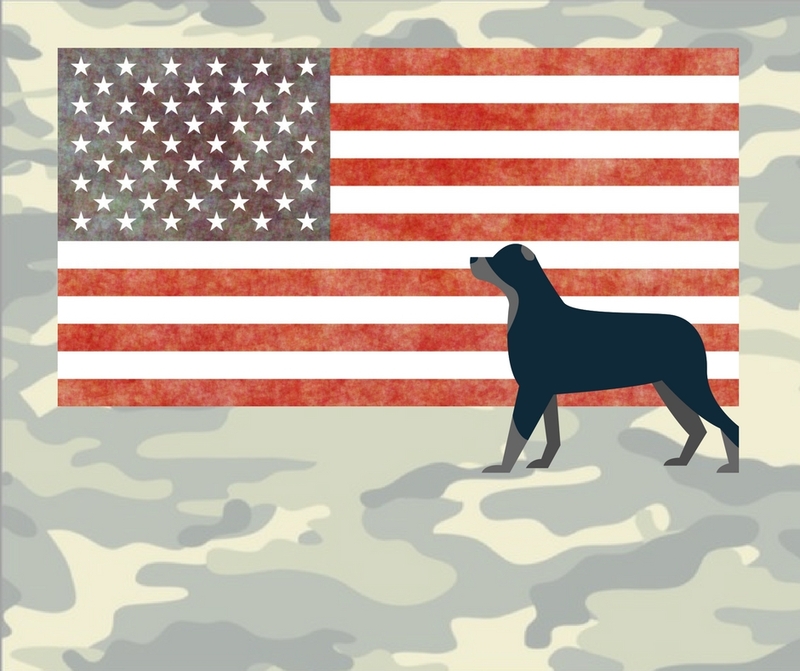 In celebration of Veteran’s Day, Cell Dogs is proud to announce its program expansion to include training and placing dogs with veterans who live with PTSD. 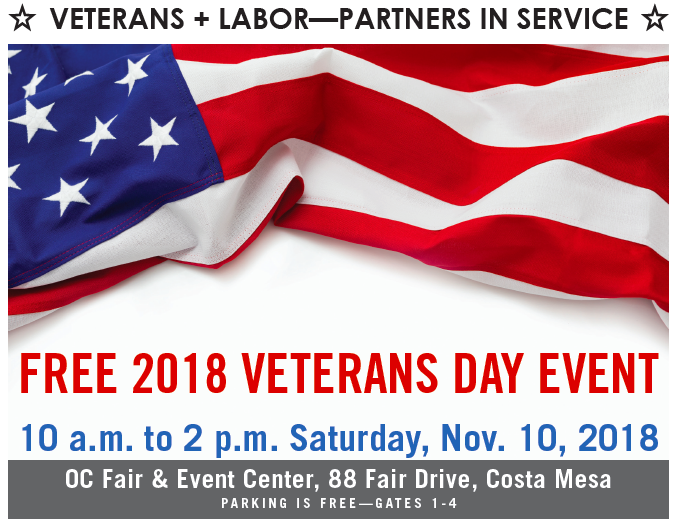 We are excited about this new opportunity and would appreciate your help sharing this info with individuals who might benefit from one of our PTSD service dogs. 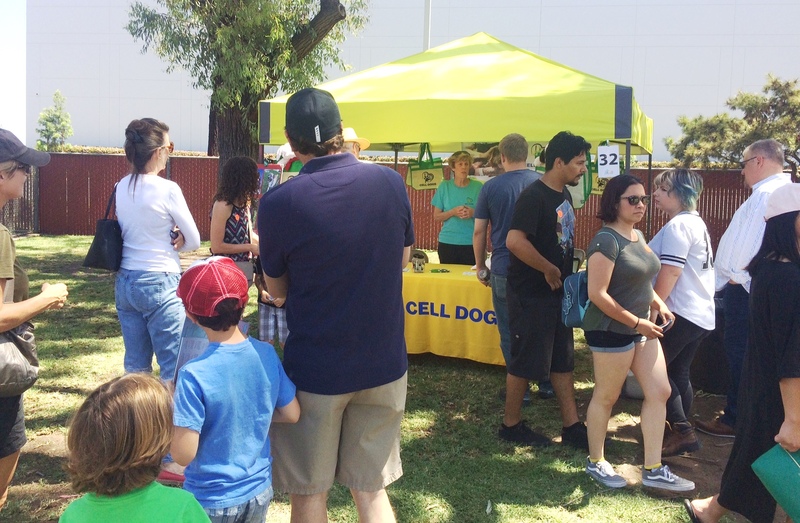 As always, please send all inquiries to info@celldogs.org. 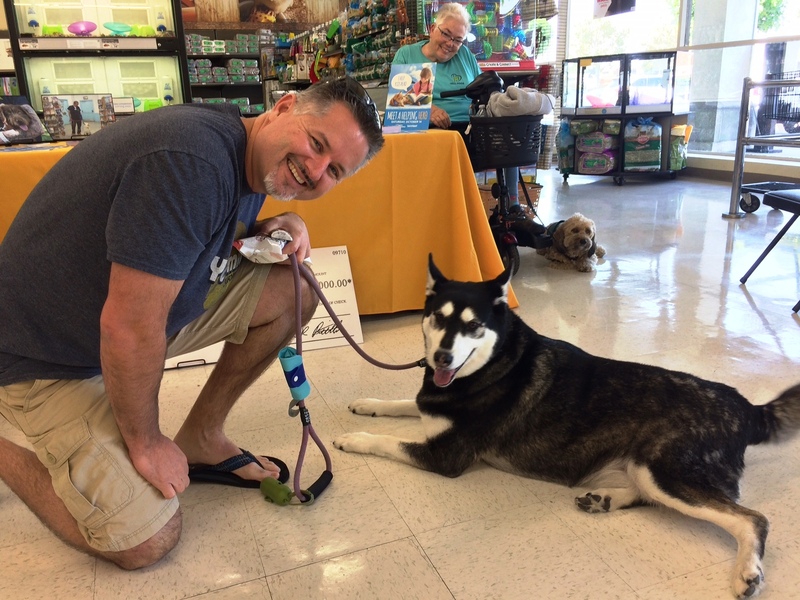 During a recent Cell Dogs event, we ran into one of our special graduates: Oreo! Oreo began training at OC Probation in 2015 and, once he completed the class, we had his ACL (Anterior cruciate ligament – a not uncommon big dog injury) repaired. Oreo weighed 118 pounds prior to surgery, and the vet wanted him to lose about 20 pounds to optimize his chances for a full recovery. We tried everything from a reduced calorie diet to 6 weeks of hydrotherapy since he wasn’t able to walk very well. 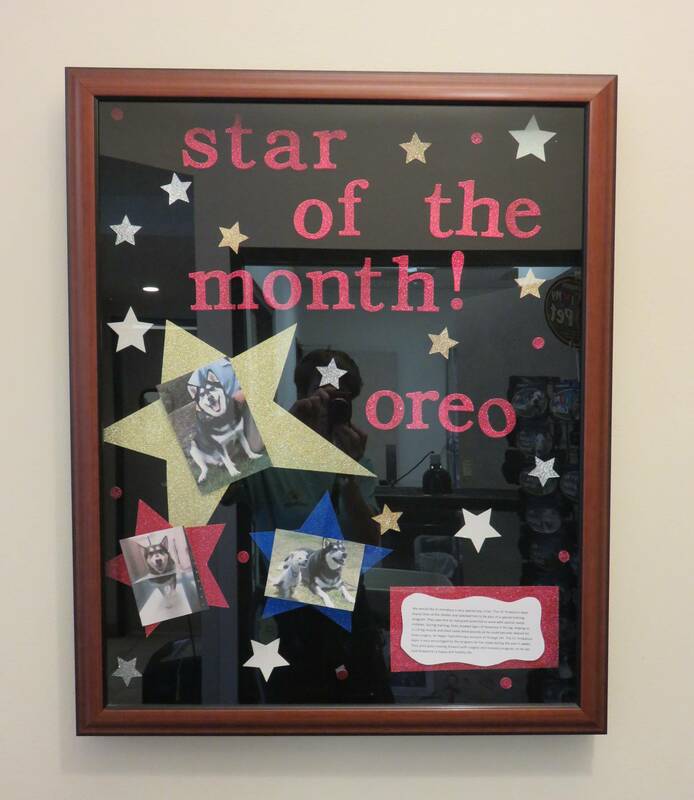 Oreo was a real trooper once he got used to the therapy tank, and was named “Star of the Month” by Orange Veterinary Hospital staff for his brave heart and gentle nature. Our friends at OC Probation allowed an additional four-week stay for Oreo’s post-surgery rehab. His trainer Isaac did an amazing job helping him during recovery, working with Oreo multiple times a day. Staff was impressed with Isaac’s focus and dedication to Oreo’s well-being and, because of Isaac’s loving care, he made a full recovery. As you can see from the picture, Oreo looks amazing and Mike couldn’t be happier with his beloved family member. What a difference a lifestyle change and loving home can make! Bailey’s fun personality and ridiculously good looks inspired her new family to take countless photos of her. 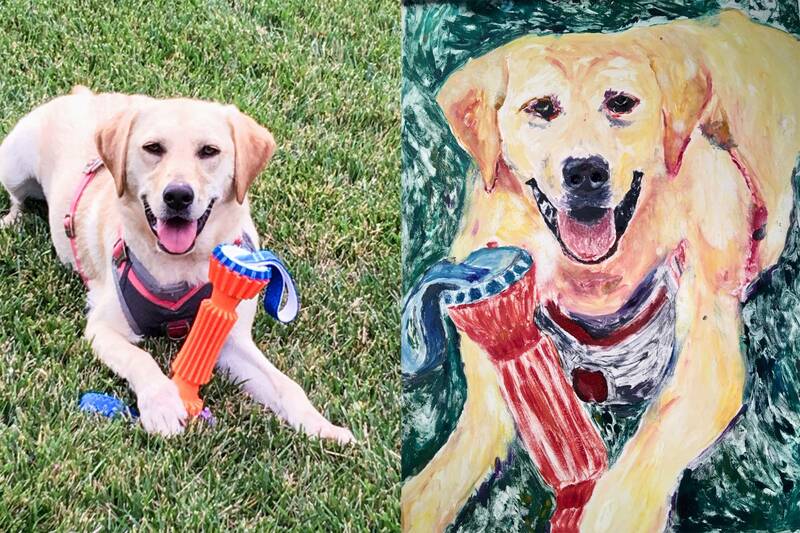 But Mimi Cora, the artist in the family, went a step further and utilized one of the photos to paint Bailey’s portrait. She used a printmaking process called “monoprinting,” a one-of-a-kind painting on plexiglass transferred to paper. Enjoy! Gracie and Griffin were both adopted several years ago by Most Rev. Kevin Vann, Bishop of Orange County. Over time, the dogs began displaying some undesirable habits. Many people assume that if a dog has initial training, all that schooling will stay with them throughout life. But, similar to humans, dogs who don’t maintain good manners through practice backtrack on what they’ve previously learned. When people neglect training and ignore their dog’s unattractive behaviors, things can get out of hand. And that’s when Cell Dogs steps in for tune-ups. 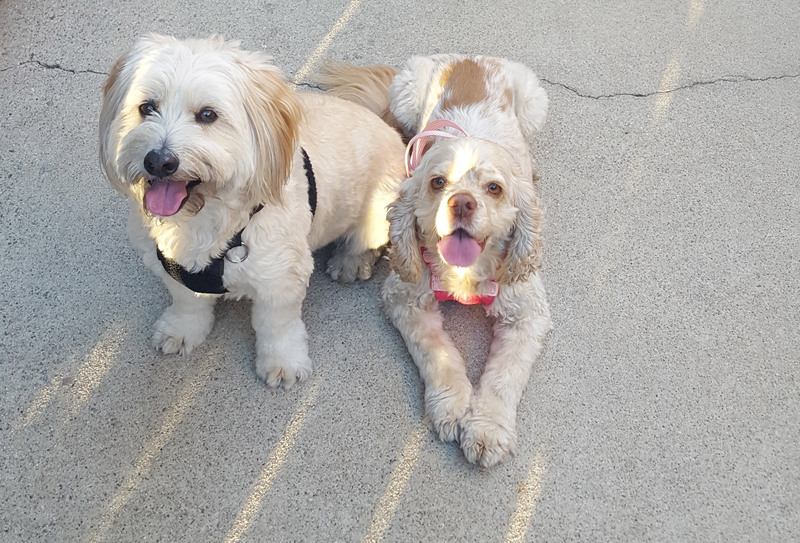 After Gracie and Griffin spent two weeks in bootcamp for a refresher course, their bad habits turned into positive behaviors. Most dogs come into our program from a local shelter after careful consideration, but sometimes a rescue is a bit more complicated. 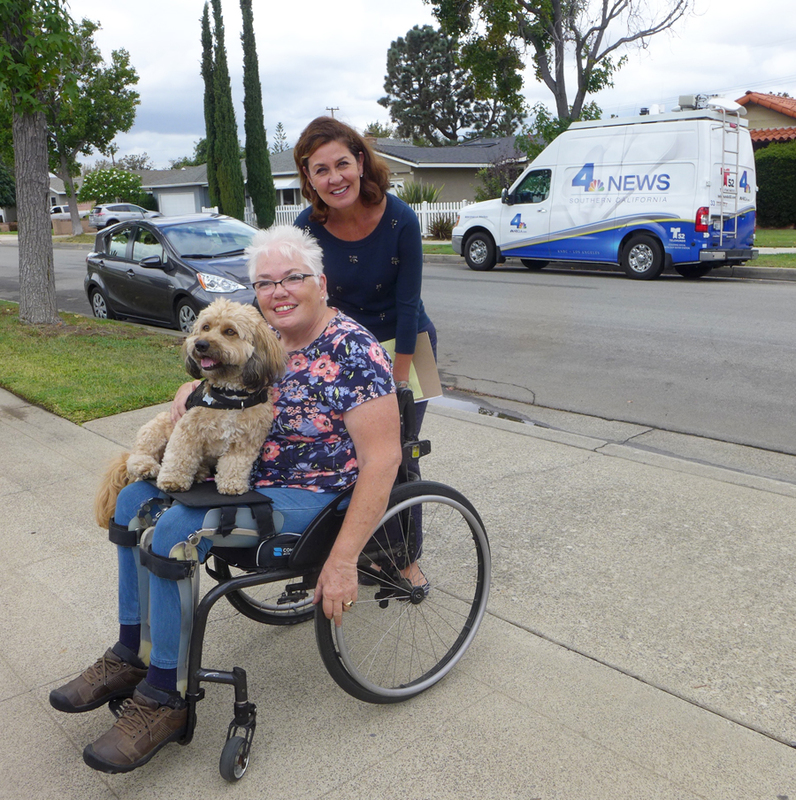 After suffering from a hit-and-run, Holly was an awful rolling bundle smack in the middle of a busy intersection—and that’s when Hannah first spotted her. She immediately scooped up the seriously injured dog and drove to her husband’s veterinarian office. With professional medical assistance from Hannah and Dr. Woods, Holly (named for the upcoming 2016 holidays) made it through the night. Then the couple contacted Janette Thomas at Cell Dogs and asked for help in looking for the owner. Although the group plastered the neighborhood with flyers, no one came forward to claim Holly. The only phone call received was one saying the owners did not take very good care of their dog. In the meantime, Holly was making slow and steady progress despite the paralysis in her front left leg. She learned to hobble around the vet hospital and seemed to enjoy the company of other dogs. She was one very lucky pup, as Dr. Woods and his staff lavished her with love and affection while she made the best out of her life-changing event. To improve the chances of keeping her leg, acupuncture and laser treatments were also administered. But after consulting an orthopedic veterinarian, amputation was recommended for a more positive long-term prognosis. Dr. Howard Fischer, DVM, kindly volunteered to do the procedure. Tracking Holly’s recovery, Janette knew that Holly needed a sound plan to get back on her feet and decided she’d be a good candidate for the OC Probation program. 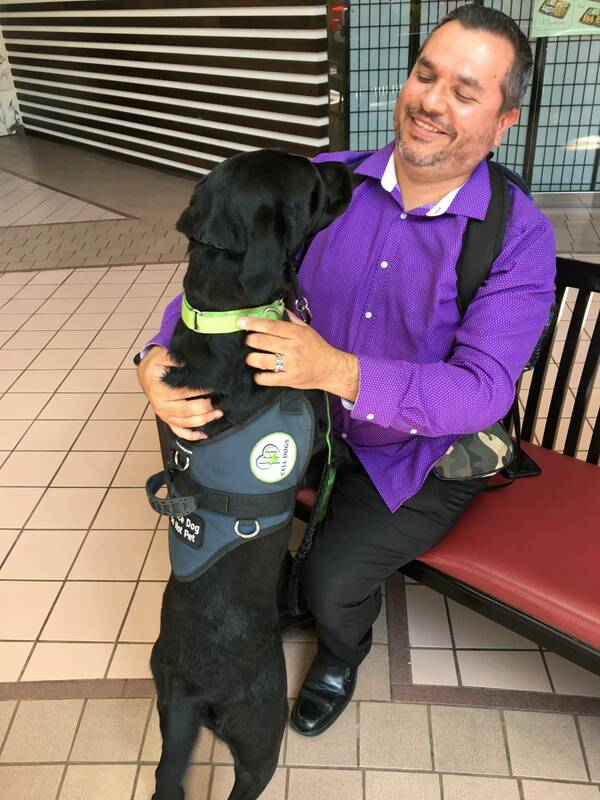 Cell Dogs has trained previous dogs with special needs, but this was a real challenge besides the obvious physical limitations: Holly was suffering from PTSD and emotional insecurities. While fine around assorted pooches and women, she was terribly frightened of cars and fearful around men. 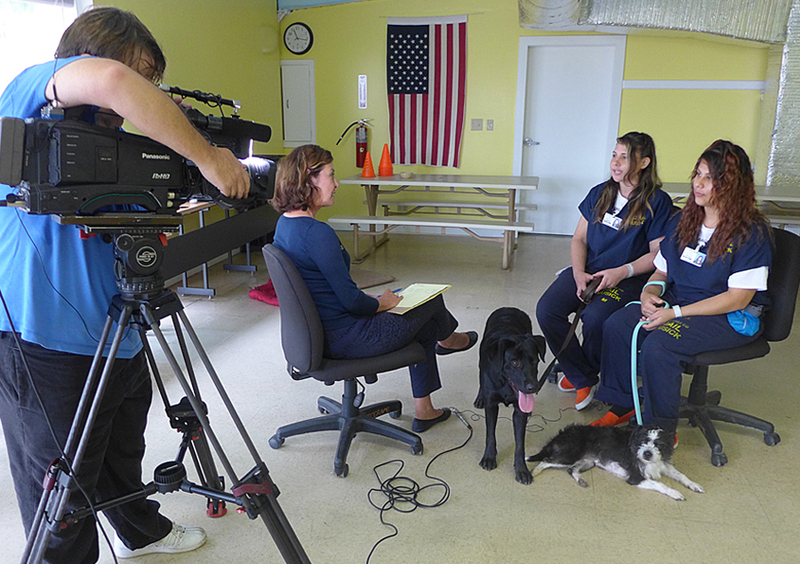 So Cell Dogs visited three to four times per week to assist with her post-op physical and emotional rehab program. This process involved lots of short counter-conditioning and desensitization sessions. After the surgical removal of Holly’s front leg, Cell Dogs brought her into the training program, where she could continue healing. We were happy to see her quickly make friends with the other participating dogs, as well as make real physical progress. Our initial plan was to set aside any basic obedience lessons and simply build Holly’s confidence and emotional stability. Despite that, she was right on track to graduate with the rest of the team! 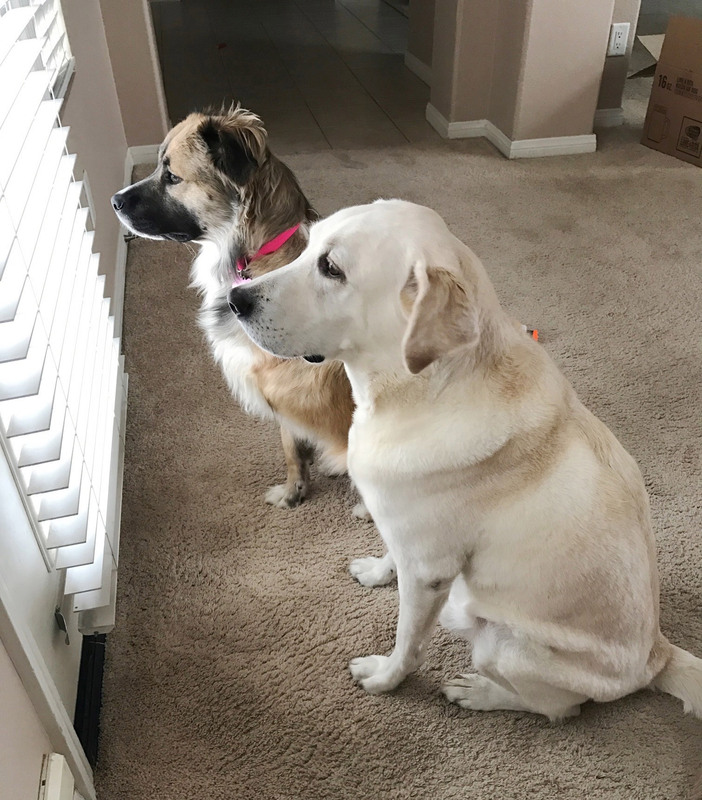 Holly’s unique situation might have discouraged some potential adopters, but one Mrs. Wright responded brightly, “We have two boys with special needs. Why wouldn’t we adopt a dog with special needs?” The Wright family had a dog and three boys (and even a chicken! ), and we were curious to see how Holly would react upon meeting them for the first time. It was emotional and magical as they all bonded instantly. On graduation day, many of Holly’s heroes watched her wow the crowd with her newly learned skills. Each dog that passes through one of our programs has a special story. Holly’s story stands out because the beginning was so unfortunate. But, owing to the overwhelming kindness and generosity of so many people working together, she now has a wonderful life. We would like to thank all of Holly’s heroes once again. 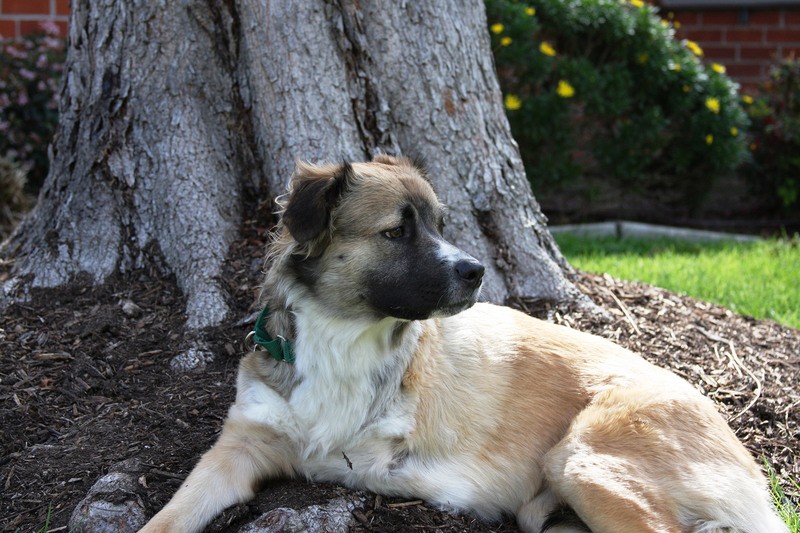 For a young one-year-old pup, Milo has already had quite the life experience! For openers, he was being used as a stud dog for a backyard breeder, and by the time we met him he had fathered two litters. After some evaluation, we realized he was deaf. The whole middle range of sounds, normal speaking voice, doesn’t exist for him. He can only hear very high-pitched sounds (dogs yipping, pennies in a can) and very low ones (truck rumbles). Since our program dogs are trained to learn commands with verbal cues AND hand cues, this was absolutely not a problem! We added the “thumbs-up” to indicate whenever he followed through on any desired behavior. 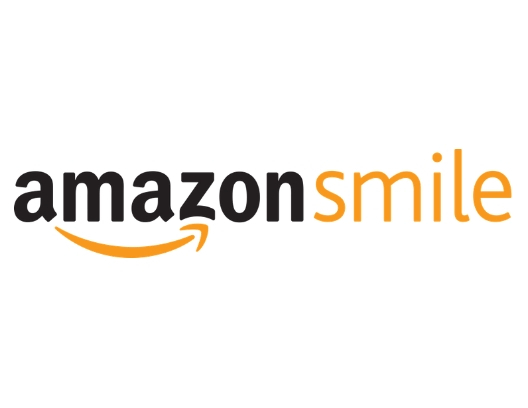 PLUS a great big smile! Body language communication is important for any dog-human relationship, but we amped this up a bit for Milo. Initially his trainers just thought he was very stubborn until we told them he was deaf. After that, they were even more motivated to learn as much as they could about training deaf dogs to ensure a successful adoption. Milo’s got a sturdy sense of himself and confidence galore! Despite not being able to hear, he’s very attentive and a quick learner, and he’s always interested in some one-on-one cuddle time. 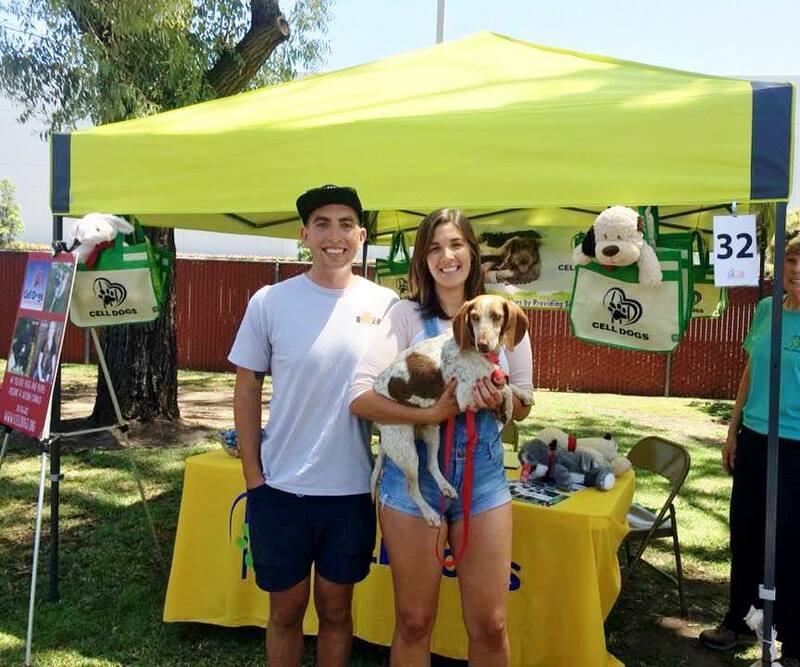 He graduated with flying colors and was adopted by a wonderful couple who found him wandering the streets of Huntington Beach long before he’d entered our program. Thankfully, their dogged determination and the effectiveness of social media brought us together soon after Milo entered our program. 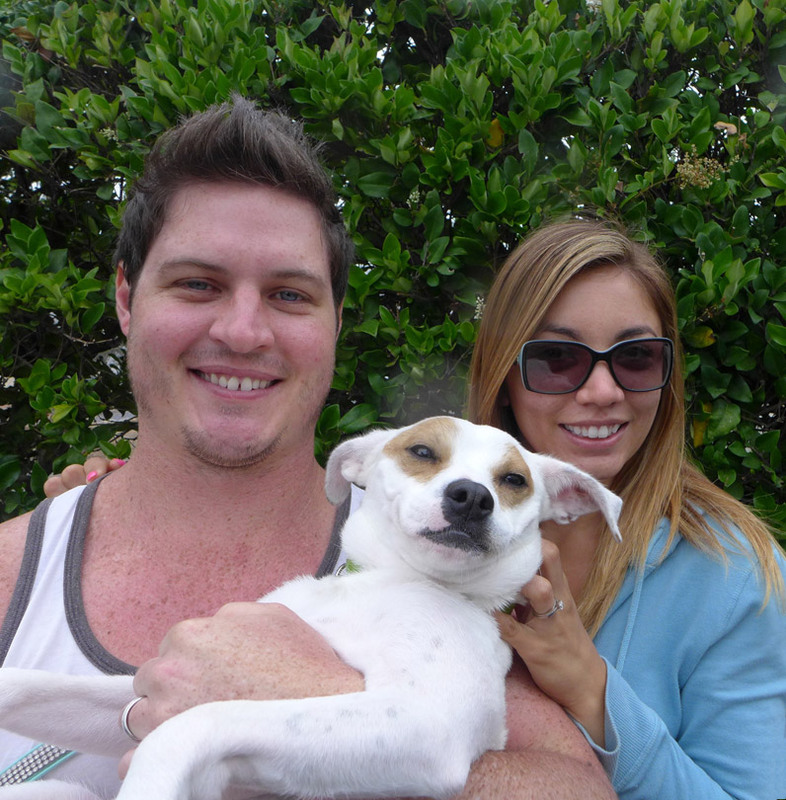 He is one lucky puppy, and we couldn’t be happier for him and his new family! 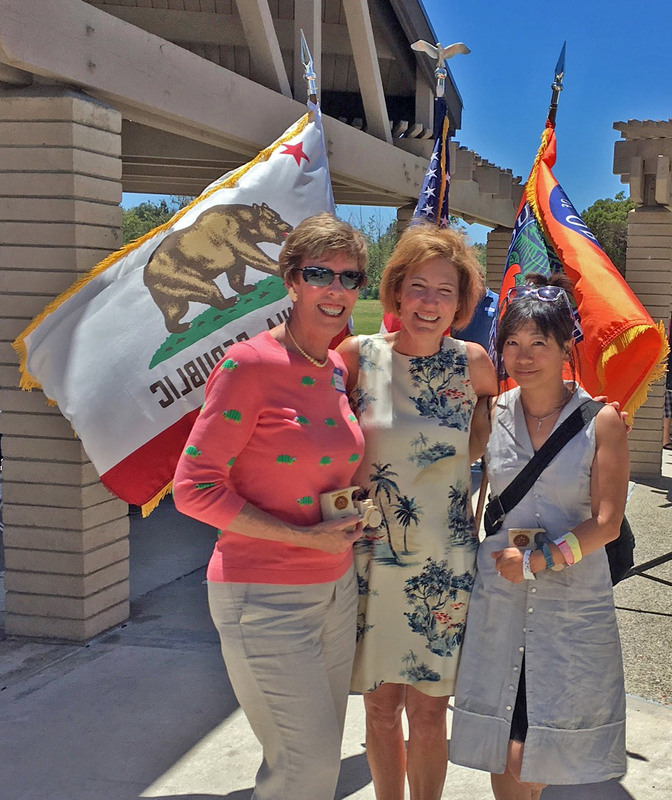 Janette and Helen of Cell Dogs attended a Volunteer Appreciation Picnic, hosted by Sheriff Sandra Hutchens and OCSD Executive Command and Inmate Services staff. Inmate Services has over 700 volunteers who donate their time to dozens of programs and classes. These services largely fall into three categories: religious services, 12-step programs, and tutoring. We are the one and only dog program! Dan Connelly, Team Leader for Volunteer Coordinating, did another fabulous job organizing the event—fun and full bellies were had by all.